It's Sunday night, so I'm hopeful that our new president is watching TV and not signing any new executive orders that re-shape our democracy. Seems like a good time to tell readers a little more about Committed, and what better way then by posting the Table of Contents? 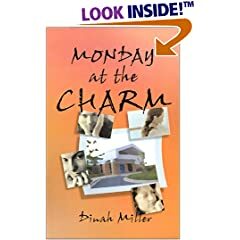 Each chapter focuses on a story, and the tales of the two patients weave their way throughout the discussion of a variety of issues. Okay, so the topics might be boring to everyone but the most interested of readers, but we hoped that by focusing on people, that it would make this important and controversial topic more approachable. Psychiatry? Yes, but perhaps more so ethics and patient rights. Drs. Dinah Miller and Annette Hanson, both seasoned clinicians who have worked in a diverse range of settings, have produced one of the most important and readable contributions to this discussion that I have encountered. This is actually a book on psychiatric ethics, but it is presented in a disarming, journalistic style. The ethical tensions with which this issue is loaded are unpacked in a clear, accessible way, articulating not just the questions, but also offering sensible and realistic conclusions. Yesterday, I was among the 1% or more the US population to show up at one of the Women's Marches. These weren't just in the US, but worldwide . If you ask me what I was marching for, I'd have to say it was an act of personal catharsis, a statement in favor of human rights, and an opposition to many of the things that our new president has said he intends to support. I've long ago come to peace with the idea that many people have different political ideas than I do, and that is not what defines who I associate with (or even marry). But what I haven't been able to come to peace with is our new president's lack of kindness. My sign, made with every bit of knowledge I gathered from my public school art classes (thank you, Mr. Trogler), and a couple of YouTube videos on 'how to make a sign' videos, but no natural artistic talent, simply said, "Make America Kind Again." Please, this has no deep philosophical meaning, take it at face value. And if kindness is too much to ask, then simply the wish that we would not expend energy to be actively unkind-- the Jewish version of "Do not do unto others that which you would not have done to you." efforts into being unkind, towards women, towards the disabled, towards immigrants, towards minorities, and towards those with less fortunate beginnings than his own. I'll leave it to others to talk politics, I'm putting in my vote for kindness. So what can I tell you about the Women's March in Washington yesterday. --It was crowded. It was really crowded, as was the metro. --There were lots of people in pink hats. --There were lots of people with lots of issues. While many had issues pertaining to women, and I particularly liked "Let's talk about the elephant in the womb" with a little Republican symbol elephant inside a drawing of a uterus, there were many other issues represented, including climate change, health care, education, gun control, immigration, equality for all, and the list marches on. --There were many angry posters (sorry, I don't think F*ck Trump accomplishes much) and many posters about love. 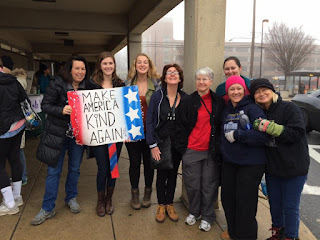 I was a bit amused that people with angry signs or wrapped in tape that bore obscenities asked to photography my Make America Kind Again sign. And some of my friends were wearing Nasty Women shirts; not much for consistency, but they aren't actually nasty women (in fact, they are all quite nice). --In fact, it was kind. On the jammed metro on the way back, I asked a friend if she had a piece of gum; when she didn't, a stranger gave me a piece. We argued over who would take the empty seat. ("you take it...") when one became available. The packed people all moved for cars, for people in distress, for those with young children. --People jeered outside the Trump Hotel. I didn't witness anyone throwing anything, charging the gates, or behaving badly. Judge the jeering as you will. --There were lots of men. --In Baltimore, 5,000 people gathered. I'm not aware that there was any violence. This is a city where there are shootings at birthday parties for toddlers, and where peaceful protests have turned into full-scale riots that make national headlines. Yet thousands of distressed people gathered to protest without event! I wish I could tell you that no one died a violent death in Baltimore yesterday, but I can't; just not at the women's march. --A colorful sign is a very useful way to keep a group from getting dispersed at a huge rally. There were over 600 marches worldwide. I don't know that there was no violence, but it seems that riots didn't make the news. These were people who were angry about many issues and our new administration. But they were also women, or people supporting women, and the fewer men, the less the likelihood of violence. Obviously, the vast majority of men are not violent, and I don't want you to walk away thinking that I believe that men are violent, but for whatever reason (cultural conditioning, less testosterone? ), women, as a demographic, are much less so. I would have said this before-- and there is no way anyone wants to hear it-- but if you want to end gun deaths and mass murder, there is a simple solution. Stop talking about mental illness and keep guns out of the hands of men. I was glad I was there. I hope our president gets a message that his plans are not as popular as he'd like them to be. And I hope he strives for kindness. Almost two weeks ago, it happened again: a man with a history of psychiatric symptoms opened fire and killed people in the Fort Lauderdale airport. 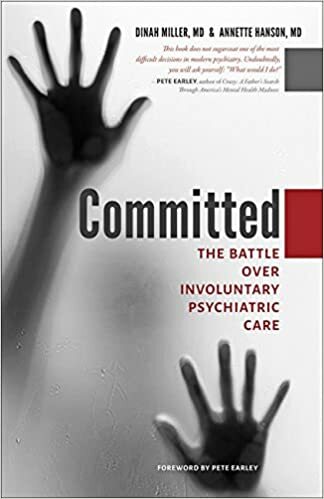 In our book, Committed, we have researched and written about mental illness and violence, guns, and specifically addressed the question of Can Forced Psychiatric Care Prevent Mass Murders? Pete Earley, on his blog, offers the idea that it would help to change the standard for involuntary care from "dangerous" to "a need for treatment." You can read Pete's blog, Another Mass Murder With Plenty of Warning Signs: We Need to Address the Dangerous Criteria. 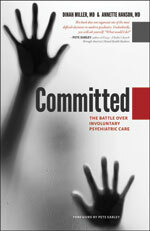 But ClinkShrink doesn't agree with Pete that the issue is one of who we force into care. She says we'd be safer if we took guns from people who exhibit dangerous behaviors, not specific diagnoses. Pete's always up for a good debate, so he asked her to write about her ideas and posted them on Dr. Hanson Offers A Different View About Mass Murder and The Dangerous Criteria. I have my own thoughts on all of this. In Clinical Psychiatry News, I wrote an article directed to mental health professionals in Analyses of Fort Lauderdale Shooting Need a Reset and in the The Baltimore Sun, an Op Ed article Tragedy Again Spotlights Mental Illness. There have been so many articles by other people attributing mass murders to everything from terrorism to mental illness to guns to psychiatric medications. One that stirred me was an article in the Sun-Sentinel by Congressman Timothy Murphy, who drafted the Helping Families in Mental Health Crisis Act (now passed as the Mental Health Reform Act of 2016) as a response to the Newtown tragedy of 2012. In his Op Ed piece, System Failure: Not Treating The Mentally Ill Has Consequences, Murphy makes assumptions about the sequence of events in the Fort Lauderdale shooting that we just don't know. I responded to his article on Psychology Today in Laws To Force Treatment Are Not the Answer to Mass Murders. radio affiliate this morning-- Sheilah Kast's On The Record-- talking about our book and you can listen on WYPR's website HERE. Last night we taped a segment for Forward Motion, a Montgomery County, Maryland television talk show with host Karen Allyn that will start airing at the very end of January and we'll post a link when that is up. And we are enjoying our 15 minutes of fame, even if it's on disturbing, but very important, topic. As somber as this all is, one thing I don't think we get across is that Committed is about people and their stories, it's not just research and facts, and the book is meant to be accessible and compelling to anyone interested in the topic, not just psychiatrists. 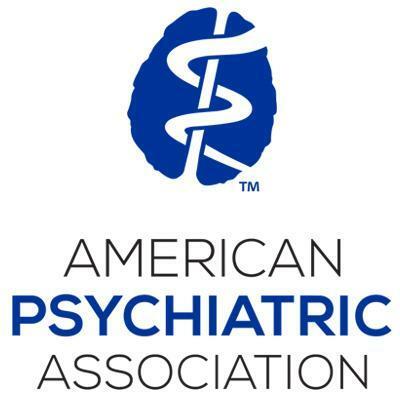 This May, the American Psychiatric Association's Annual Meeting will be in San Diego. I'm thinking ahead here, but people often make their travel plans in January, so I'd like to tell you about the talks we'll be involved in and invite you to come listen and participate. Presenter: Paul S. Appelbaum, M.D. Presenter: Steven R. Daviss, M.D.